David Lee Roth beckons you to you the Sound Recordings Archives. 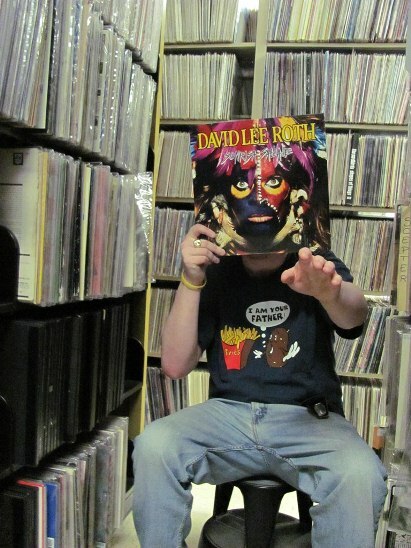 You are hypnotized by our vast amounts of vinyl… you must listen… YOU MUST LISTEN! In this photo: David Lee Roth and Ryan Schurk. Photo by Liz Tousey.